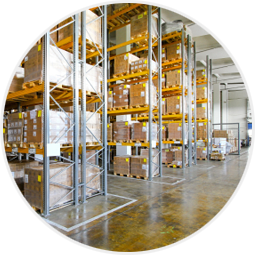 "There is much to gain in lighting industrial halls and warehouses. Think about the energy savings when a hall is not lit if it's not in use." 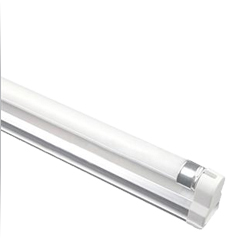 Tube light (TL) are the most sold product for industrial halls and warehouses. Efficiency of the product is high and cost is very acceptable. Weak points against LED-solutions are the inability to dim to very low energy levels and the cost of replacing lamps installed on high ceilings (3 to 15 meters), which may be necessary every year in some cases. 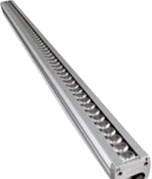 Retrofit T-LEDs are an option, but even more efficiency can be found in a bespoke LED solution. Our partner designed a linelight with LEDs with interchangeable LED/Optics package depending on the specific needs of the end-user. Schematic version of a warehouse with dynamic lighting. The system was put to test for 6 months, back-to-back with a T5 solution from a AAA-class supplier. Result: Best-in-class, lower Cost of Ownership than tube lights. Highly reliable. Added benefits such as lights that act as guides in cases of emergency. Lights that indicate the location of an items on stock. Everything is equipped to run on a UPS or other external power source. Please contact our Managing Director Erik van Beusekom for questions about Linelight that adds dynamics to warehousing. You can also call Erik: +31 (0)76 58 16 969.